On my way back from the G20 Labour and Employment Ministerial Meeting in Melbourne late last week, I read Lydia Lim’s editorial, “Success is tied to workers’ skills and autonomy” (10 September 2014). She highlighted the points raised by labour economist and NMP, Prof Randolph Tan, who said that Singaporeans tended to falsely believe that we are immune to widespread joblessness. I cannot emphasise enough how important it is to understand the point which Prof Randolph raised. Perhaps we are complacent about unemployment, because of our enviable position of having three per cent unemployment, which is among the lowest globally. Youth unemployment is also low, and most of our university, polytechnic and ITE graduates find a job within six months. The realities are different and stark for my G20 counterparts. In the various sessions over these few years, my colleagues at the G20 have been repeatedly calling for stronger economic growth and jobs creation. In particular, the constant lament is about high levels of youth unemployment. My Australian counterpart Minister for Employment Eric Abetz spoke about the resources-led boom that Australia enjoyed. While initially benefitting the economy, high wages and labour market rigidities started to affect their international competitiveness. The government is now working on restructuring the economy towards another set of growth drivers, and we wish them well in changing course. The statistics for unemployment make for grim reading. What is more tragic is that the repercussion of being unemployed for long periods is the almost permanent effect on wages and future income streams. The impact is not just economic and financial. It is also emotional and psychological. 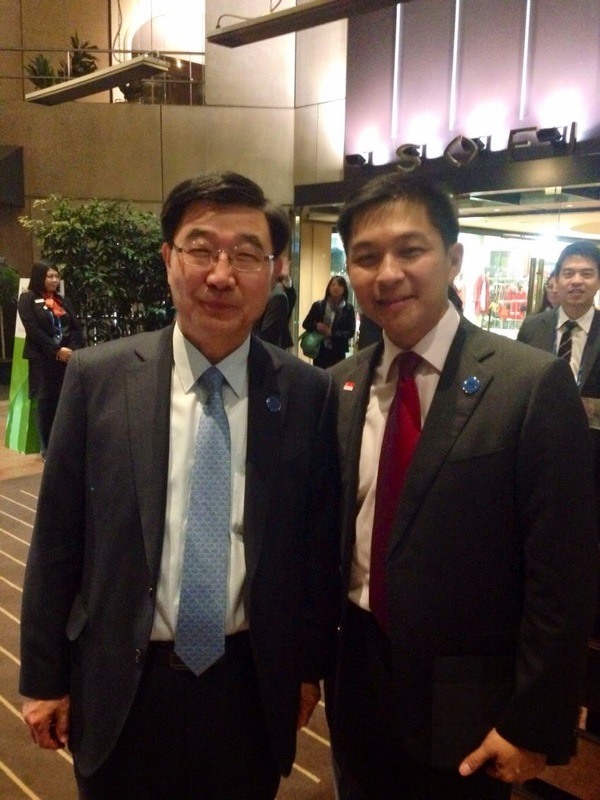 Senior Minister of State (PMO) Heng Chee How shared in Parliament last week about the need for good jobs to be created in Singapore, and for Singaporeans to possess the right attitudes and competencies needed to take on those good jobs. Should companies find that Singaporeans lack the attitude and competencies needed for the job, they will have less reason to bring good jobs to Singapore. What Chee How said struck a chord with me. Just recently, I met the owner of a foreign IT set up at a dialogue session. Although his company had been operating in Singapore for a while, he shared that he was thinking of shifting operations to Vietnam as there were qualified people there to do what he needed. I asked if it was because of a lack of talent here. It wasn't. Was the salary he was offering too low? That didn’t seem to be the case either, as some of the starting jobs were at a fairly attractive $4,000 to $5,000. The crux of the problem was the fact that the job required shift work, as they supported operations round the clock. Many Singaporeans, on hearing that, were not interested. Just this Monday evening, I met a gentleman who brought his father-in-law to see me at the Meet-the-People session about some problem he had. As it turned out, he was a head hunter. I asked him on his take on the employment scene. He stated quite clearly that it is not for want of jobs. Demands and expectations were high and sometimes excessively so. He was somewhat concerned about the impact on competitiveness and recognised that it was not a given that jobs are always going to be available. If you think about it, it has been some time since we had major unemployment woes. In 2008, we intervened with Jobs Credit to help support companies to keep their workers, supported with training and allowed the economy to recover quickly. Many countries have not quite emerged from the impact of that crisis. Yet even with low unemployment, some have expressed unhappiness when there is competition for jobs from others. We also sometimes hear complaints that wages are not increasing enough. In the US, real wages has remained stagnant for the majority for almost three decades. Just last week, The Economist carried an article, “The big freeze”, to discuss why wages haven't moved much for the developed countries. In Singapore, our growth in real median gross monthly income from work of full-time employed residents (including employer CPF contributions) in 2013 was 4.0% over the year, 1.9% p.a. in the last five years, and 1.6% p.a. over the decade. I'd end by sharing what is happening on the ASPIRE front. 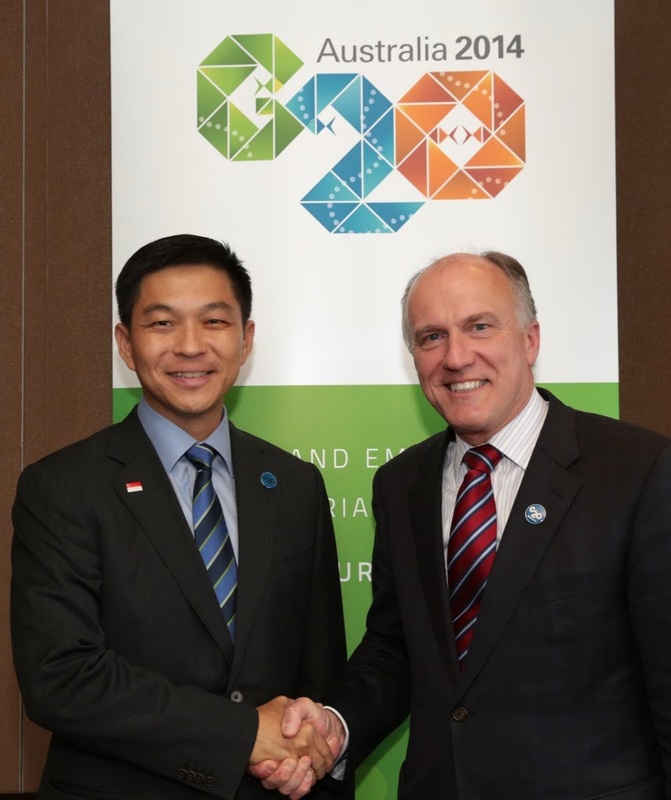 I spoke to my South Korean counterpart, Employment and Labour Minister, Lee Ki-Kweon, at the G20 meeting. About 70% of the present cohorts in Korea are graduates. They do not have enough graduate jobs and are hoping to reduce the percentage of graduates to 60%. With degree inflation, his staff and interpreter from the Ministry shared that some feel that they needed even higher qualifications. The interpreter herself is a master’s degree holder. Canada's Minister of State (Social Development) Candice Bergen spoke passionately about the need to hold all qualifications with due regard. On the other hand, the UK has been reinvigorating the technical colleges and apprenticeship arrangements, and this has led to the largest fall in youth unemployment in the last year. UK Minister of State for Employment, Esther McVey stressed that it was a concerted effort among the government, employers and workers. As with the UK, the US also plans to increase the emphasis on technical education and apprenticeship arrangements. The US is also re-designing certain segments of the education system so that students will be both college ready as well as business ready. US Secretary of Labour Thomas Perez hopes that a re-emphasis for these can turn the tide on the problem of youth unemployment, so that people will have access to ladders of opportunities, not only to get by but also move ahead. We cannot operate in isolation without realising what is happening elsewhere. We are buffeted by the same pressures and confronted by economic realities like others. However, we have been able to manage these relatively well. Expectations will always be there, but we also need to be realistic. The irony is that if we are not careful, we will imbue the wrong sense of entitlement in our workforce, and this can undo the position that we now enjoy. If we become uncompetitive and inward looking, perhaps at future meetings, I would be joining my other international colleagues in lamenting stagnant wages and high youth unemployment. Defenceless Victims or Wilful Perpetrators?